We, Viessmann Werke GmbH & Co KG, Allendorf (Eder), Germany (“Viessmann”), take the protection of your personal data very seriously and comply strictly with the provisions of data protection laws. The recording, transfer, storage, processing and other use of personal data will also be referred to jointly as “processing” in the following. Stored personal data will be deleted if you revoke your consent for storage, if the data are no longer necessary to fulfil the purpose of storage, or if storage of the data is not permitted on other legal grounds. Where required as a result of a statutory storage period, the data will not be deleted but will be kept for other uses. It is not mandatory to delete anonymous data. The IP address is the internationally used unique identifier of the source of your internet connection at the time of allocation by your internet provider. The most usual form (IPv4) consists of four separate blocks of figures separated by periods. Generally, as a private user, you will use an IP address that does not remain the same because it is only assigned to you temporarily by your provider (“dynamic IP address”). In case of a permanently assigned IP address ("static IP address"), clear allocation of user data is possible in principle. Except for the purpose of pursuing unauthorized access to our website, we strictly do not use such personal data, but only evaluate on an anonymous basis, which of our web pages are accessed most frequently, how many times the website is accessed on a daily basis, and similar information. The purpose of the app is to control and analyse Viessmann heat generators. 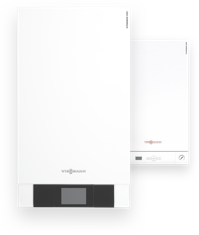 When a heat generator has been activated using the corresponding communication component (such as VitoConnect) in your app, its configuration and operating data, recorded errors, configuration settings, temperature profile (referred to collectively as “heating data") will be transferred to Viessmann servers, operated by Viessmann IT Service GmbH, located in the European Union, as part of commissioned data processing, and will be stored there. The app reads the data and makes such data available, as well as functions based on such data. The data are used to provide app functions, create push notifications (e.g., warnings, maintenance, failures), increase the operational safety of the system, improve system efficiency, correct deficiencies and improve service and system development by means of long-term research. The data will be processed by the following companies of the Viessmann Group for the following purposes all within the frame of commissioned data processing agreements with Viessmann: Viessmann Werke GmbH & Co KG (operation of the app); Viessmann Ltd. (sales and technical support for heating engineers); Viessmann Heiztechnik GmbH (further development of the app). If you have activated the appropriate feature in the apps, heating data, the address of the heat generator, your name and your telephone number will be transferred to a specialist craftsman approved by you in the app. You may withdraw this approval in the app at any time and therefore stop the data from being transferred. In the app it is possible for you to approve other users for your heat generator. After approval, heating data will be transferred from your heat generator to these users as well. You may withdraw this approval in the app at any time and therefore stop the data from being transferred. The use and possible transmission of data in a form that uses only a pseudonym is performed for the purpose of increasing the security of system operation, improving system efficiency, rectifying failures, and improving service and system development by other companies and by third parties. Using anonymous data means that neither third parties nor Viessmann are able to allocate system data to you personally and such data may not be allocated to you retroactively, either. Personal data (such as name, address, system users) will not be transferred. Personal data may also be used to review warranty cases and to protect Viessmann against unauthorized claims. When registering for a user account, you may have agreed to the use of the data entered by you for the purposes of operating the app. Such data include in particular your email address, the address of your heat generator, your name, and your telephone number. In accordance with the declaration of consent you may have given, your email address may also be used for the purposes of sending product information and advertising, as well as market research and research on public opinion by Viessmann Werke GmbH & Co KG. You may revoke your consent at any time. In accordance with the declaration of consent you may have given, your telephone number may also be used for a call with respect to product information and advertising, as well as market research and research on public opinion by Viessmann Werke GmbH & Co KG. You may revoke your consent at any time. Further Companies of the Viessmann Group are only allowed to use your telephone number for a marketing call and your e-mail address for marketing e-mails, if they act under the instructions of Viessmann Werke GmbH & Co KG within the frame of a commissioned data processing agreement. Viessmann uses the analysis tools AppSee and Firebase in the apps, in order to analyse your use of the apps. The data provided and used are recorded and stored in fully anonymous manner. Under certain circumstances, such data may also be stored outside of Germany or the European Union (after full anonymization). You have the right to disclosure of the data stored relating to you personally, their origin and their recipients, as well as the purpose of such storage. In addition, based on statutory provisions, you have a right to correct, block and delete personal data. We make best effort to save your personal data in such a way that they are not accessible to third parties by taking all reasonable technical and organisational steps. We cannot guarantee the complete data security of communication by email, so we recommend using regular mail for confidential information.